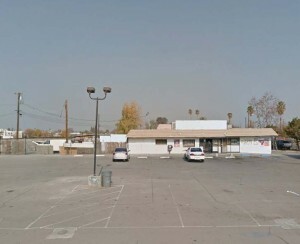 This site is located in Central Bakersfield in a commercial and residential area. Currently the site is a convenience store that previously contained motor fuel dispensers. In 1992 a fuel release was detected from underground storage tanks at the site. Total petroleum hydrocarbons as gasoline (TPHg) was detected at up to 8,00 mg/kg in soil samples from beneath the tanks. Additional assessment to evaluate the extent and distribution of gasoline constituents. Groundwater was found to be impacted and groundwater monitoring began during July 1995 and continued through 2006. Soil vapor extraction (SVE) was conducted in the UST release source area from May to August 1999, using two groundwater monitoring wells for extraction. An estimated 2,800 pounds of gasoline constituents were removed at this time. A larger SVE system with dedicated SVE wells and air sparging (AS) removed an estimated 2,122 lbs. of gasoline constituents during late 2002 and early 2003. Approximately 38,250 gallons of fluids were purged from onsite and offsite monitoring wells between April 2003 and March 2004, in an effort to remove floating gasoline and control offsite migration. Groundwater monitoring to evaluate natural attenuation processes was conducted from June 2007 to November 2010. Based on evaluation of the monitoring and natural attenuation data, E2C determined that natural processes are reducing gasoline constituent concentrations in groundwater and estimated that Water Quality Objectives would be attained by approximately 2020. In 2012, the Regional Water Quality Control Board issued a closure letter to the site owner, deeming the site as a low risk and marking the end of remedial activities.